When it comes to data analytics, companies need a custom-tailored strategy. But far too often, teams find themselves constrained to cookie-cutter solutions already on the market. Feeling pressure to pull stats, report progress, and demonstrate growth across performance markets, they choose numbers for the sake of reporting figures. But are your metrics really capturing the key performance indicators (KPIs) that are most important to your business? There’s a simple test that can help you answer this question. Step 1: Create a list that includes the metrics you need to do your job better, in addition to the metrics you’re currently tracking. Step 2: Create a list of metrics that you monitor using the tools you have at hand in your business. How wide is the gap between the two lists? How would your analytics capabilities become stronger if you had access to more information? As it turns out, many companies struggle to answer these two questions. According to a recent Harvard Business Review study, Big Data strategies have arrived at a new juncture, “emerging as a corporate standard” with a focus that is “rapidly shifting to the results it produces and the business capabilities it enables.” But companies need to make sure that their tools and processes align with their established goals. The following tips can help you connect the dots between insight and action. The graphics were created by Salesforce and Ghergich&Co. Big Data isn’t about the trends that you’re observing now. You need to focus on reinvesting this information into your core business processes. The tools, workflows, and software you implement should tell a story about your business’s growth trajectory and anticipated evolution over time. According to Randy Bean, CEO and managing partner of consultancy NewVantage Partners and author at HBR, goal-setting for Big Data requires three steps. According to Bean, one of the biggest challenges that executives report involves the immaturity of Big Data implementations. Systems are falling short in creating a complete data picture, leaving software end users struggling to accurately assess the ROI of the strategies that they have in place. Companies are taking their biggest steps forward through trial and error with early successes of Big Data only measurable through non-financial benchmarks. Stakeholders should take the time to determine exactly what business success looks like. Choose metrics that can articulate this story. Bean points out that innovation is still the bread and butter of Big Data. “The speed and agility it permits lend themselves to discovery environments such as life sciences R&D and target marketing activities within financial services.” The success stories of Big Data-enabled innovation are still few and far between, focusing primarily on operational cost savings. For instance, according to Bean, financial firms have improved their credit risk capabilities, and other companies have created logs of back-office operations. The next frontier? Forward-thinking companies will improve customer experiences and disrupt traditional ways of doing business. 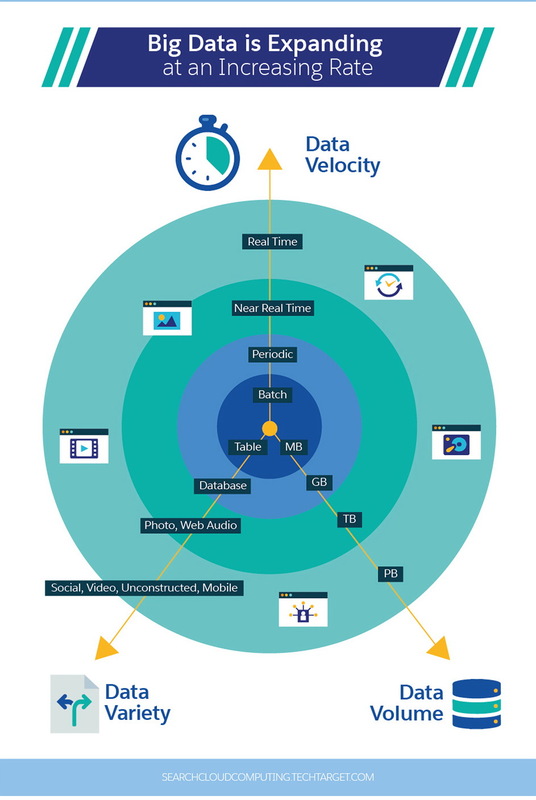 New tools and approaches are “displacing whole data ecosystems,” says Bean. Data professionals who previously relied on advanced statistical techniques are finding themselves needing to adapt to new workflows and processes that have emerged with the support of new technologies. Companies need to factor change management into their software implementation strategies. Prepare for cultural shifts, emerging needs for training, and mechanisms for new habit reinforcement. The system you implement now will be the foundation for the data strategy that you build into the future. Do your due diligence. When choosing an analytics solution, it’s easy to get bogged down with endless planning cycles. For instance, you may decide to incorporate feedback from multiple stakeholders into your evaluation process. Before you come to a shared conclusion, you may find yourself engaged in lengthy debates and hypothetical “what-ifs.” As author, blogger, and Google digital marketing evangelist Avinash Kaushik points out, companies typically choose tools through a nine-step process that he documents here. From collecting business and technical requirements to conducting a thorough needs assessment, putting out a call for RFPs, and selecting the right software and vendor, it can be years until implementation day. Furthermore, your company takes a risk in entering into a contract with a potentially suboptimal choice. Sole responsibility and leadership should exist within an analytics team rather than across multiple stakeholders. Cross-functional feedback is important, but analytics leaders should be in a position to execute. Test free versions of tools throughout the research process. As you conduct your research, sign up for free trials. As part of your demo, start testing reporting features to support your ongoing company discussions. Evaluate whether these resources have the potential to make discussions more informative, actionable, and tangible. Collect early feedback from team members who are testing out your software. See if you can iterate and adapt based on their recommendations. The goal is to assess how far your software can take you. At the very end of this process, do a critical self-evaluation. How effective were your Big Data analytics tools in conforming to your company’s processes and translating insight into action? Ask these tough questions to make sure that your software is measuring up to your plans. 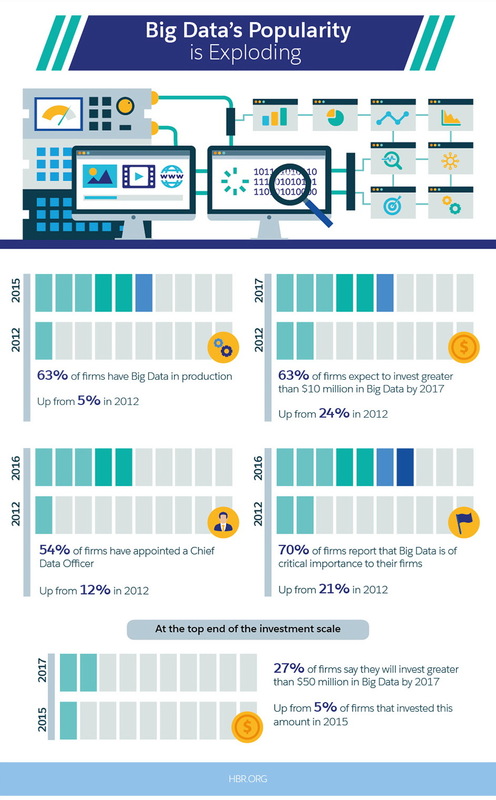 Big Data analytics tools need to continue to evolve over time and with your business. Dig deep into your analytics, beyond basic awareness. Focus on causal relationships and trends related to customer retention and longevity. After you’ve chosen the right analytics tool, keep challenging your system. Tackle new business challenges, and see if your analytics software can keep up in translating insights into action.